Local resident describes house fire as 'scene from hell' - Bauer Restoration, Inc.
“Firefighters battled a huge fire that spread swiftly, damaging five homes Friday evening. Now, two teens are in custody accused of causing it. The damage and devastation a house fire can cause leaves not only a physical toll but an emotional one too. What takes seconds to destroy can take an exceedingly long time to clean up. The most important thing to remember is the safety of your and your loved ones. Furniture and items can be replaced, people can not. 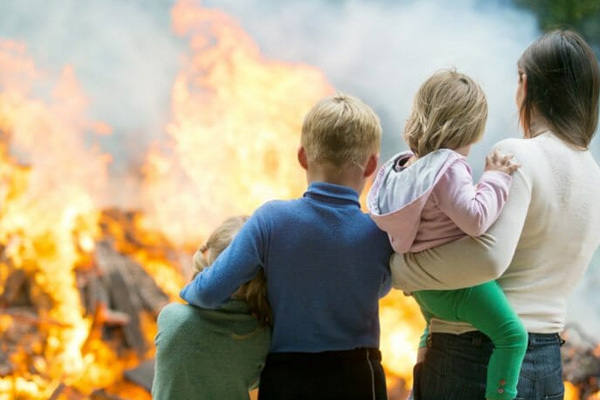 If you’ve recently fell victim to a house fire and need help with the cleanup process, contact Bauer Restoration. Our fire damage restoration team will work diligently to salvage as much as possible in your home. Call us at 507-333-9838 with any questions you may have.